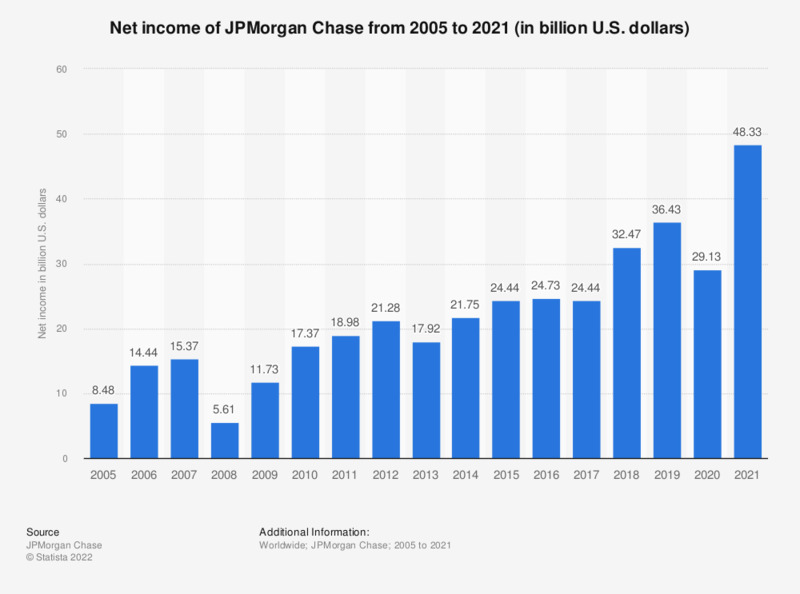 The statistic presents the net income of JPMorgan Chase from 2005 to 2018. It was found that net income of JPMorgan Chase amounted to approximately 32.47 billion U.S. dollars in 2018. Data prior to 2014 has been derived from previous annual reports. Statistics on "Lloyds Banking Group"